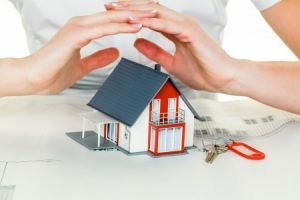 Homeowners insurance rates will vary greatly from carrier to carrier, and they can rise and fall based on a number of factors including property size, property value, and whether or not you opt for full buildings and contents insurance. To determine if your current policy covers your building’s contents or request new homeowners insurance rates, turn to the experienced and friendly insurance agents at Five Brothers Insurance. At Five Brothers Insurance, our policyholders are family, and we will work closely with you to find you the optimal policies to protect you and your family’s interests. We are still family owned and operated after nearly 30 years of dedicated service, and it is this independence that allows us to provide policyholders with the personalized attention and support required to find them the most comprehensive, yet affordable, policies available. We can offer you comprehensive solutions for nearly any insurance need and offer clients a full range of personal and commercial policy options. From homeowners insurance, life insurance and auto insurance to workers compensation insurance, motorcycle insurance and more, we can make sure your family will never have to suffer a major financial burden after any accident or loss – whether minor or severe. We gladly serve homeowners in Treasure Island, St. Petersburg, Pinellas Park, Indian Rocks Beach, Tarpon Springs and beyond, so contact us today to request homeowners insurance rates or discuss any insurance-related need you may have. We look forward to serving you!